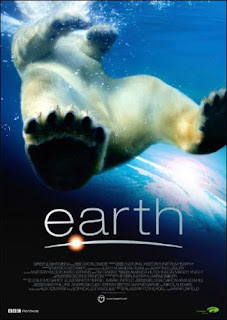 Walt Disney's "Earth" is an epic story of adventure, starring some of the most magnificent and courageous creatures alive, awaits you in earth. Disneynature brings you a remarkable story of three animal families on a journey across our planet ... polar bears, elephants and humpback whales. Filmed with spectacular clarity and beauty, earth is both majestic and intimate as it captures rare footage of nature's wildest and most elusive animals. 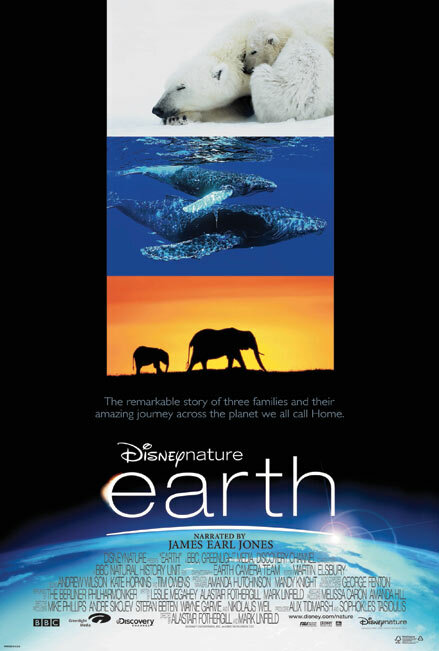 From the landmark Disneynature collection, Earth is an astonishing and heartwarming film filled with adventure, suspense and humor that will take your breath away. Disney offered to plant a tree for every ticket sold for this film in the first week of its release. The tree was to be planted in the North Atlantic Rainforest in Brazil which is 'highly threatened.' You could do the same as a gift for someone in your family. Take a family member to see a wonderful nature-oriented film like this and plant a tree in their name. Beautiful !